I think we can all use a little boost during January - it's cold, wet, and generally a bit depressing! To help combat the January blues, I'm giving one reader the chance to win a gorgeous rose otto bath and body set from one of my favourite brands, REN. Inside the box you'll find a 200ml Rose Otto Body Wash and a 200ml Rose Otto Body Lotion. 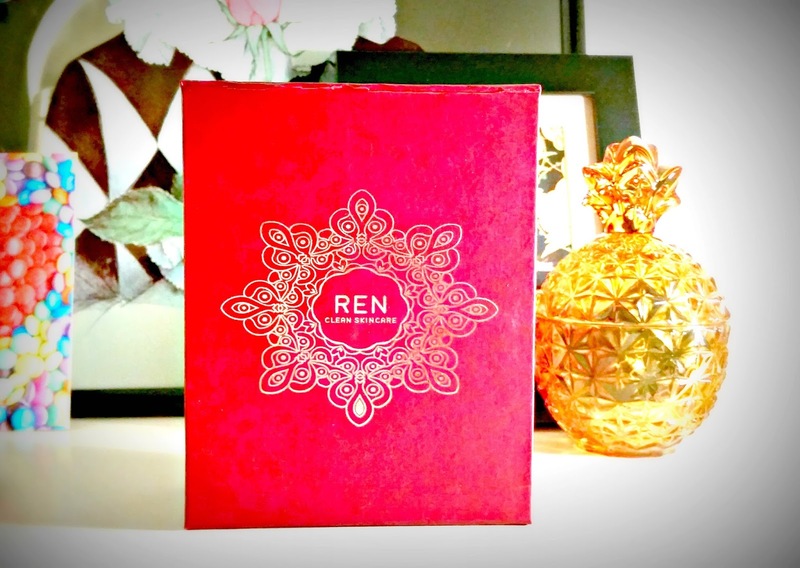 If you've not tried this range from REN before let me tell you, it smells divine! To enter, simple complete your chosen entries via the Rafflecopter widget below. The giveaway is open internationally and will close at 11.59pm on Sunday 1st February. One winner will be picked at random shortly after the giveaway closes. More tips on how to contour and make my skin look luminous!! How to wear different colours together (fashion) and what coulrs suit different hair colours/eye colours/complectionsetc thank you! More organic beauty products, for example, how to use coconut oil. I would love more make-up looks from you, step by steps on your favourite smokey eye etc. Also have you thought about including short videos? More hair style tutorials please! I'd love to see more make-up tips! Thanks for the giveaway! Would love to see more skin care reviews and tips. I would love to see some "Products to avoid" posts where you tell us which products did not work at all for you, and why not. Would be lovely to have a heads up as to which products aren't so good. I'd love to see more informative posts about ingredients etc. anything on dark circles under the eyes! A great giveaway. I would like to see more lifestyle posts. I could never read too many reviews and tips! how to get rid of dark circles under eyes! The use of Coconut Oil on skin and hair. I'd like to read remedies for skincare and hair care related problems on Tales of a Pale Face in 2015. More info on organic beauty products available. I would like to see more makeup posts and product reviews. Amazing giveaway , this set looks really good ! Tips on getting shinier,fuller hair & a more even skin tone. I'd love to see more tips on improving dull complexion! I looove your Freebie round ups, so if you keep doing them, I'm already a happy bunny. All the best for a good blogging year! of course I want to see more giveaways!! and more makeup tutorials! Revies, giveaway and tips to stop older pale skin looking grey or washed out. I love lifestyle posts and beauty reviews! I would like to see a post on how to create perfect arched brows. Thanks for the giveaway and great blog! reviews, hauls, and different beauty guides! being a pale face I am quite happy to get tips on how to look healthy instead of anaemic! Skin care reviews and swatches from beauty products with sweet and cute packaging. Hello! Thanks for the giveaway, I participate! I would like more tutorials hairstyles for different occasions. Kisses! Tops, tricks and tips posts! I'd like to see more reviews! I'm new to your blog but skincare recommendations are always helpful. How to avoid making common make up and skin care mistakes, for a better finish. More reviews on products suitable for pale skin like foundations. A lot are orange for me as I am really pale too. I would like to see more haul's or products that you don't rate. maybe a post dedicated to each skin type? Would love more reviews on how to apply makeup,i am not good at it ,at all.Especially the coverage. Any reviews on skincare products. More hair style tutorials please. I find them really really helpful....I get into a bit of a fan kle if I don't have something to follow! Lots of articles or advice on how to make organic beauty products or have home treatments from items in the fridge and store cupboard. I have hyper-pigmentation on my face, so it would be nice to see how to cover up problem skin.